Christopher Nolan’s Dark Knight Trilogy has officially ended. It’s hard to believe that the ride is over, but no one can argue that it wasn’t an unforgettable journey. 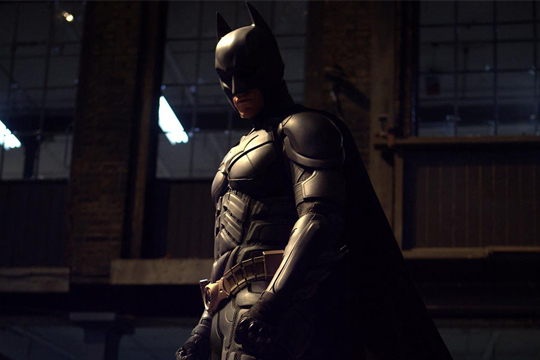 Nolan not only changed the way superhero movies are made, and viewed, but he saved the Batman franchise from the dumps. When Batman Begins came out in 2005, it had been eight years since Batman & Robin virtually destroyed Batman for good. How reluctant were fans to embrace a new Batman movie? Well, Batman Begins only grossed $372M…total. To put that in perspective, both The Dark Knight and The Dark Knight Rises passed the $1B mark during their tenure in theaters, with TDKR still playing. I’m sad to see Nolan’s Batman go, but am grateful for everything he did for the franchise. To show my appreciation, I put together this tribute video to The Dark Knight Trilogy using R. Kelly’s infamous Gotham City song that appeared on the Batman & Robin soundtrack. I figured that if Nolan could resurrect Bane and Robin in TDKR, why not try and resurrect this song? Check it out below after the jump.